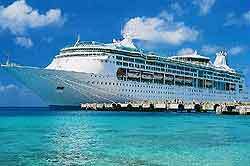 Ports Guides is dedicated to the major ports and ferry harbours around the world. Many towns and cities located along the coastline offer an extremely varied and diverse range of ferry services and cruises from their port. Cruises are almost a destination unto themselves, often providing a greater selection of activities than an entire resort complex. The real selling points however are the elements of luxury and escapism, and a unique opportunity to visit several cities within a short space of time. Each cruise line tends to target its own niche. P&O Cruises offer an elegant, modern cruise, Royal Caribbean target the exotic, and Princess Cruises offer both flexibility and unique itineraries.